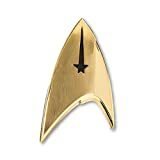 After a strong start last week, the third episode of Star Trek: Discovery is something unique among other third episodes in franchise, or possible television, history: it’s the pilot. While the first two episodes serve as a prologue, “Context is for Kings” was really is the show’s pilot, introducing the ship and characters, as well as much of what will likely be the show’s conflict and season arc. And it does all this quite well. 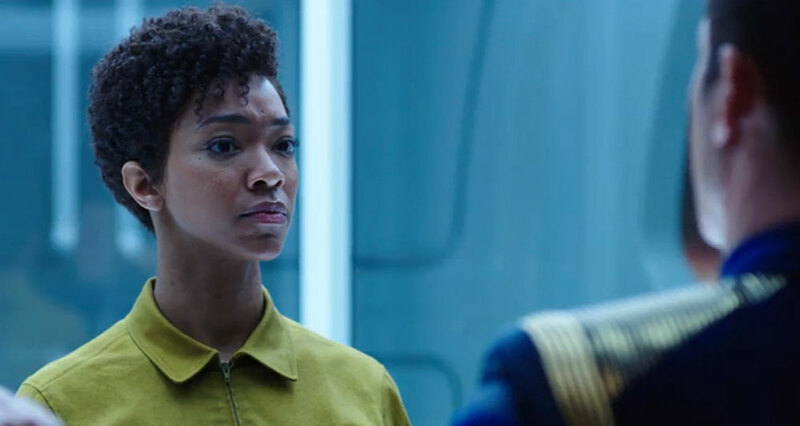 Episode three opens six months after Michael Burnham’s (Sonequa Martin-Green) court-martial and life imprisonment. She and three other convicts are being transferred to another prison facility when their shuttle runs afoul of a cloud containing creatures that drain a ship’s energy (but totally not mocks). 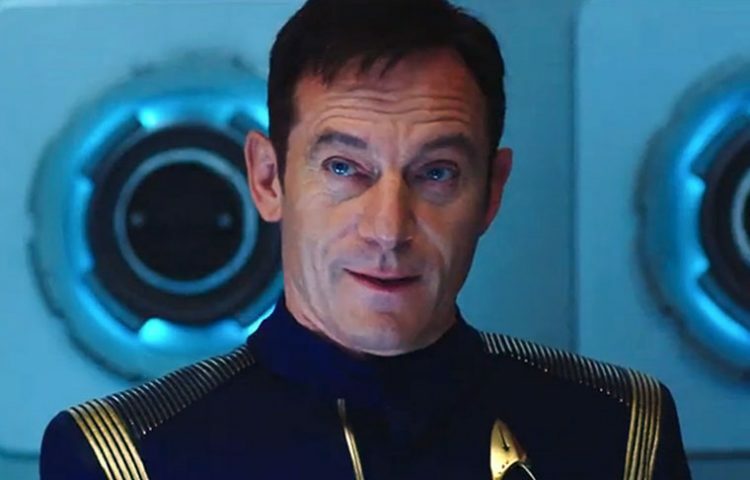 They are conveniently saved by the Discovery and we later find out that this whole thing was a ruse by Captain Gabriel Lorca (Jason Isaacs) to get the now infamous mutineer on board. Lorca seems to have a thing for Shenzhou survivors. Burnham encounters Ops officer Keyla Detmer (Emily Coutts) in the mess hall and Saru (Doug Jones) is now Discovery‘s first officer. 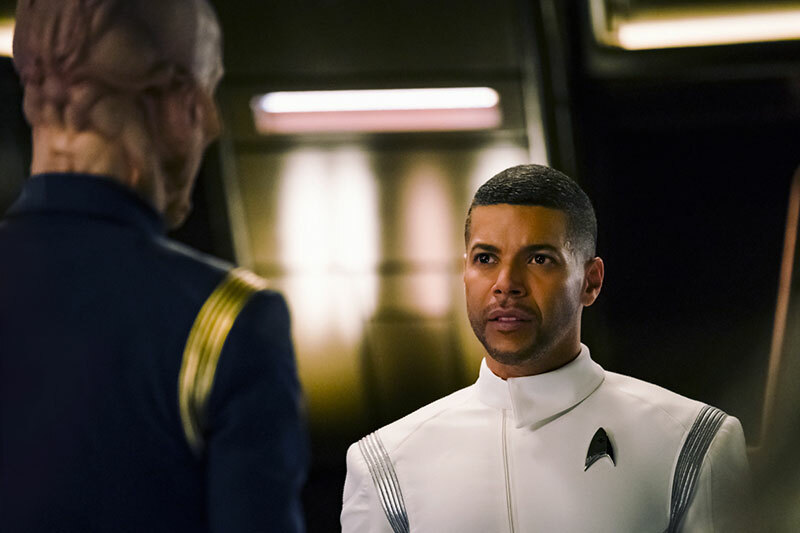 Why Lorca wants these officers, beyond their experience with the Klingons, is uncertain at this point, but there’s a deeper reason why Lorca wants Burnham under his command. The Discovery is a brand new ship, one that’s set up for both black-ops science research and war. As Lt. Stamets (Anthony Rapp) explains, when the war broke out, Starfleet co-opted his team’s fungus research, with him leading efforts on Discovery and his partner in charge of her sister ship, the Glenn. Stamets is none too happy this his research is being used for war, calling Lorca a warmonger, which leads Burnham, who has been kept in the dark, to suspect that all this is leading to the development of a biological weapon. Fortunately, she’s wrong. In the episode’s climactic moment, Lorca reveals that the fungus can be used as a new form of travel, transporting someone instantly light-years across the galaxy. With the ability to do that, they gain a strategic advantage against the Klingons. 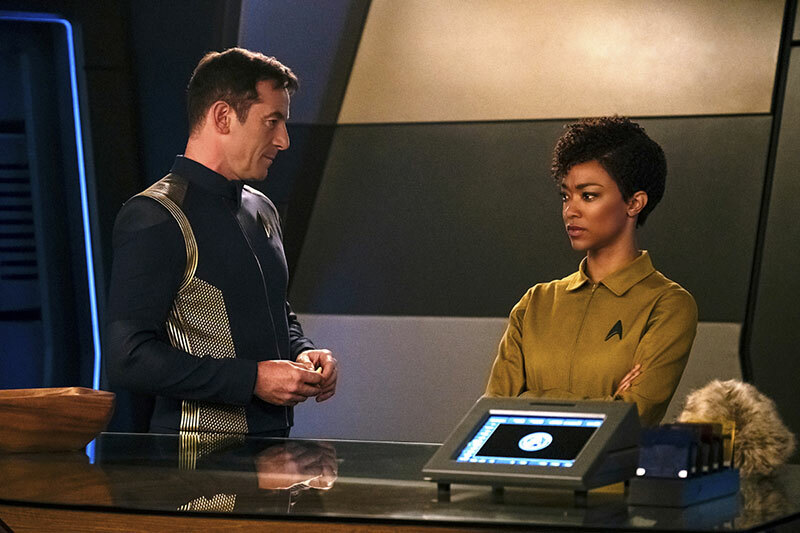 Burnham agrees to stay, but she may not be reinstated into Starfleet just yet, as she is seen in a science-silver uniform but no insignia the coming attractions for next week’s episode. But, of course, there’s a twist. While the researching is going well on the Discovery, an accident occurs on the Glenn, killing the entire crew. 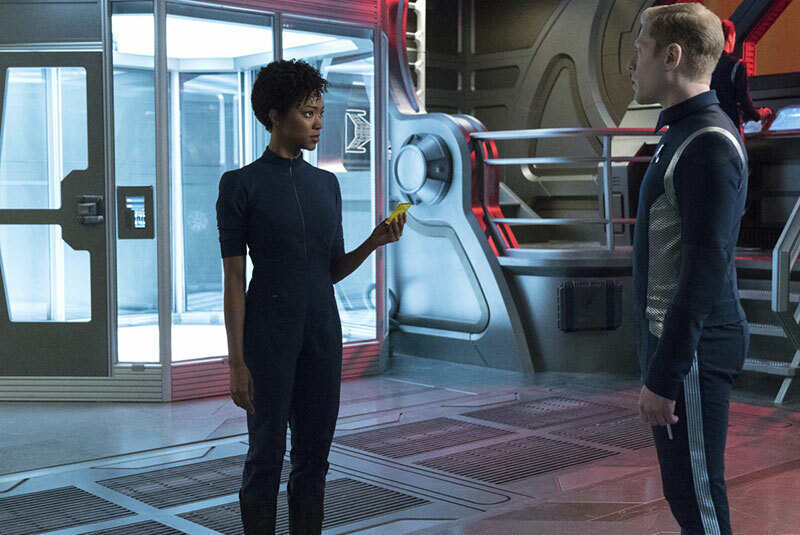 Lorca orders Stamets to lead a recovery mission, where the team encounters a huge creature on board, which is likely something that mutated as a result of the accident. While the team escapes with the information they need, minus one red, I mean copper shirt, The creature is seemingly left on board the Glenn, which the Discovery promptly scuttles, but not before Discovery‘s chief of security, Commander Landry (Rekha Sharma) is able to capture the beast for Lorca to study in what appears to be a private lab. Martin-Green and Jones continue their pitch-perfect performances from last week and are joined by a slew of similarly great new characters. Isaacs, best known for playing villains, is doing outstanding work playing both sides of the good/evil line. Sharma, Rapp and Mary Wiseman as Cadet Tilly all impress, with the latter adding some much-needed levity to the proceedings. Once again, those looking to nitpick canon and continuity will have a field day (site-to-site transport wasn’t used commonly until the Star Trek: The Next Generation era), but, overall, this is a solid episode and a great way to set the stage for the season to come. What did you think of the third episode of Star Trek: Discovery? Share your thoughts in the comments below. Interested in signing up for CBS All Access to check out Star Trek: Discovery for yourself? Click here to receive one-week free. 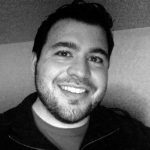 Andrew Cardinale is from a Boston suburb where he works in IT. When he’s not doing something Star Trek related, he writes, follows local sports and listens to far too many podcasts. You can follow Andrew on Twitter @acardi.